Continuing on our stride through April, this week we had the opportunity to work with some incredible projects in Australia and New Zealand. Check some of our best in 3D Render and Visualisation for the week. Have a look at this incredible job we recently completed for our friends at Urban Trend Construction. We weren’t provided any plans for this project and instead were given completed models of the house. Working closely with our clients, we recreated their models with our amazing 3D Render & Visualization technology. We provided them 3 Exterior Renders that showcase the new project from several different angles. Additionally, we injected their rendered model into an amazing environment giving this project an extremely effective finish. With the goal to expand on an existing single lot to include 4 separate homes. Design Network Architecture is working with our client to create this incredible subdivision project with plans to be built in the near future. 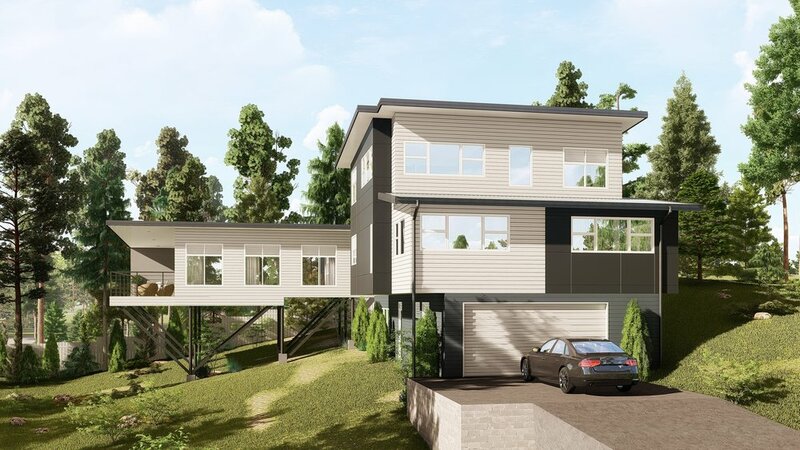 Located under 20 minutes away from Wellington, our clients are looking to divide the existing lot into 2 by splitting it in half with an extended driveway that leads through to lots 3 & 4 that sit just behind. 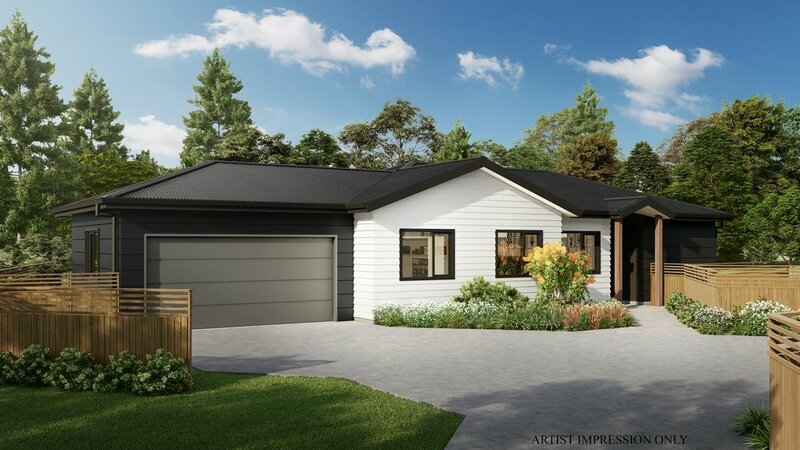 Although the layouts are different, each of the 4 lots follow suit with single story home that contains 3 bedrooms, 2 bathrooms, a study, an open kitchen/kining area and a double garage. As there project is still in the planning and preparation stages, our clients wanted to provide the potential customers with detailed insight into their new home. 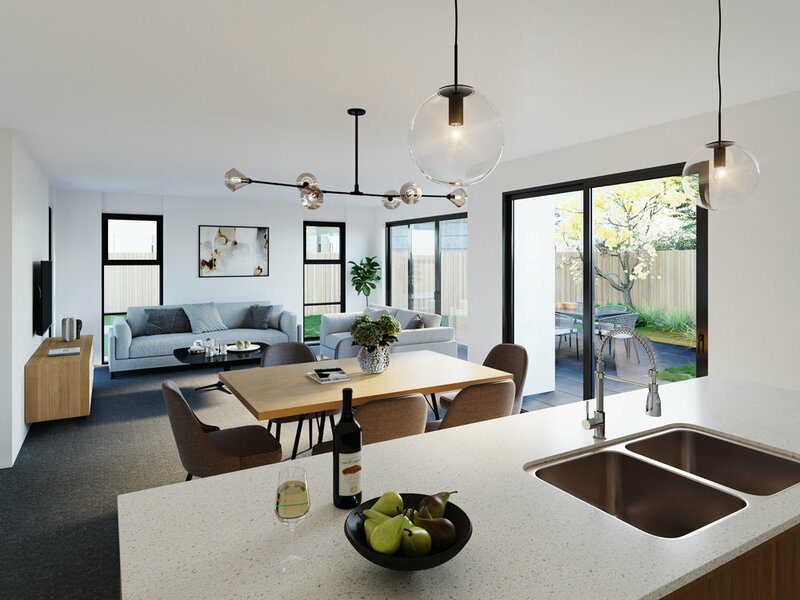 As a result, our client got in touch and we assisted them by providing several 3D Renders showcasing the new homes being built. Check out this incredible commercial project we were lucky enough to assist our friends at BCAD Design with earlier this year. Our clients are designing a mixed development project along Main Road in Toukley, a small island suburb off the Central Coast, NSW. 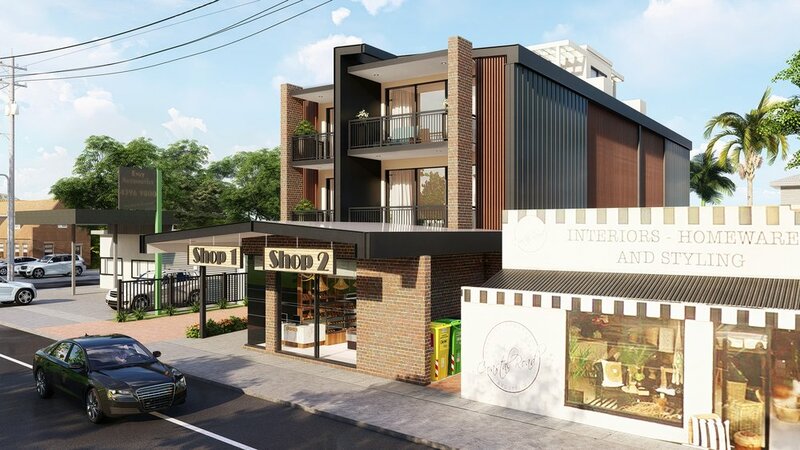 Located on the main road that connects Toukley to the main land, the project is proposed to have 2 stores on the ground floor, with access from the left side that leads to 8 parking spaces behind the lot. Both the 2nd and 3rd floor contain 4 x studio apartments that are all similar in size and design. Before making a vital decision to proceed our clients required first hand experience in bringing their project to life. We assisted them by providing 2 x 3D Street Scape Renders that show their future project from different angles and how it will blend with the existing environment.